In 1987, the American AIDS epidemic had ravaged the gay community for six years. Beginning with a smattering of mystifying cases in 1981, the number of reported deaths from the disease doubled every year afterwards. 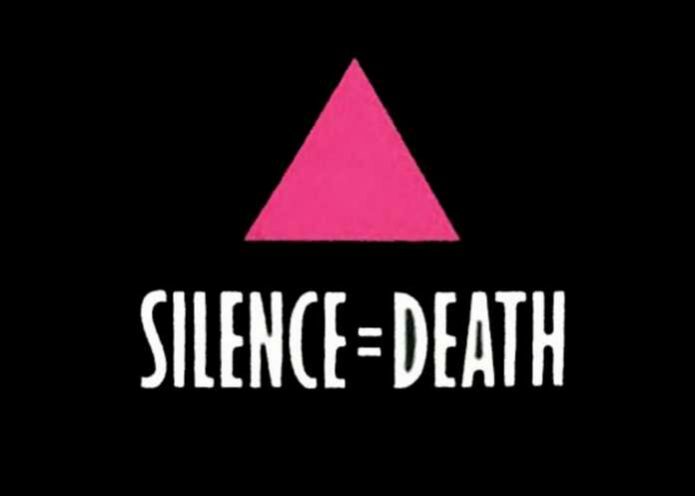 By the end of 1987, the deaths of 41,000 primarily gay men brought the toll nationwide to over 86,000. Already stigmatized and mostly closeted, the LGBT community was horrified not only by the scope of death, but by the lack of action on the part of President Regan’s administration. Regan’s policymakers routinely joked publicly about “queers deserving to die.” Misinformation regarding spread of the disease ran rampant without any attempt by the CDC or the administration to research or rectify it. And our president refused to acknowledge the crisis. Indeed, it was five years after the first deaths before he even mentioned the word “AIDS” in a policy speech. By 1987, the gay community’s frustration had grown into outright anger, and legendary gay activist Larry Kramer had had enough. In March of that year, he stood in front of an agitated gay audience and asked, “Do we want to start a new organization devoted to political action?” The answer was a resounding “Yes!” Two days later, he founded ACT UP. For those of us old enough to remember, ACT UP gave us the first glimmer of hope that maybe our voices would be heard. On my 25th birthday that year, I lived in Greensboro, NC, the heart of the conservative South. I was one of those disenfranchised gay men, angry, scared and sad. I had already lost one friend. I would lose four more before all was said and done. I had little hope for my future, and remained mostly closeted to all but my closest friends and family. The evening, I watched a segment on the national news about ACT UP. That day, 250 members arrived on Wall Street in Manhattan and began to protest. Waving signs, including the historic slogan “SILENCE = DEATH,” and chanting “Act Up, Fight AIDS!”, they called attention to the inequitable alliance between the FDA and Burroughs-Wellcome that prevented drug research from moving forward–even though the drugs were somewhat effective in treating HIV. An effigy of the FDA commissioner, Frank Young, was hung. As the day progressed, the protestors sat in the street, stopping traffic and leading to 17 arrests. Several weeks later, the FDA announced the speedup of other AIDS-fighting drugs. Many groups credited ACT-UP. I became an ardent fan of this revolutionary group, devouring everything I could find about them in the media. Chapters were confined to larger metropolitan areas, but amongst my inner circle of gay friends, talk began to turn towards ways we could join the fight. We took some small actions towards AIDS awareness in our red community, many of my friends came barreling out of the closet, and we began to feel hopeful. In the years that followed, ACT UP’s membership increased in size and volume. Their urgent and disobedient protests became regular stories in the national media. In 1988, one such protest successfully shut down the Food & Drug Administration for a day. Media reported that it was the largest such demonstration since those against the Vietnam War. They also took on the Catholic Church, the National Institute of Health, the Centers for Disease Control, and the public school system. They even disrupted a 1991 live broadcast of the CBS Evening News. By the mid 1990s, their demand for a national dialogue about the AIDS epidemic was beginning to show results. Public opinion shifted in favor of the gay community and AIDS research. Government funding became available, first in trickle, then in a flood. And ACT UP’s mission began to change. Today, they are still an active, albeit a much quieter, gentler organziation. Founder Larry Kramer is still alive and kicking in New York, still leading and challenging the LGBT community at every turn. He believes (as do I) that the federal government basically murdered over 500,000 men due to their indifference towards the LGBT community. But he also believes that the gay community is partially responsible for those deaths because we took so long to speak up. It took years, but ACT UP’s policy of civil disobedience did effect a fundamental change. In fact, their success proves that if any disenfranchised community is subject to the blatant and unfettered murder of its people with no adequate response from our lawmakers, it becomes a requirement. If you have never felt the utter despair and anger, helplessness and hopelessness that comes from the avoidable death of someone you love simply because your leaders didn’t care, then you probably won’t agree with this statement: Black Lives Matter. I fully support the African American community in their loud and proud dissent. Because the alternative is silence. This entry was posted in Observations and tagged act up, AIDS, larry kramer. Bookmark the permalink.